WISBECH BRANCH (12) - When I took these pictures on New Years Day 2006, the Wisbech Branch had been mothballed for about 5 years. 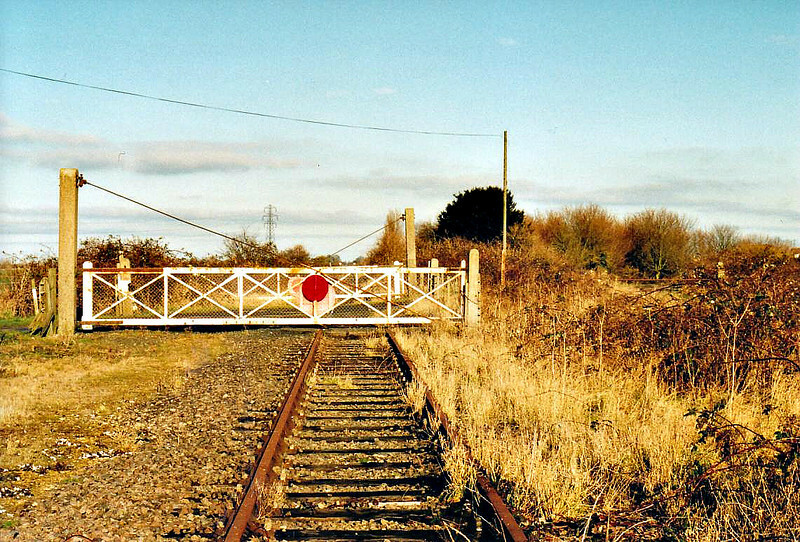 Waldersey level crossing from the track, which was double but operated as a single line, the other track being used for wagon storage. There was never a station here, just a goods loading dock, on the right, and a signalbox. In the potato season in the early 1900's, 3 trains a day were sent out from here.